It is time to think outside the box. Today’s kitchens are light, airy, modern, neutral, and not afraid to mix materials in new and innovative ways. Mixing countertop material is a modern approach to design. It saves money and adds interest to a kitchen space. Today’s designers take this approach in ever-increasing numbers and share their success stories with the public. 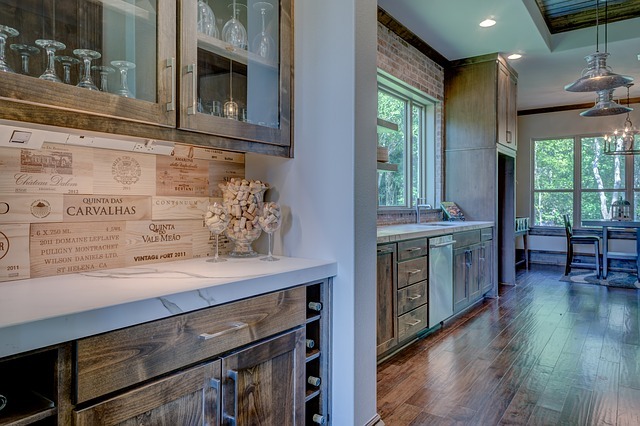 Popular materials such as walnut, reclaimed wood, granite, and quartz are able to be paired in spaces. They form interesting color and pattern combinations. 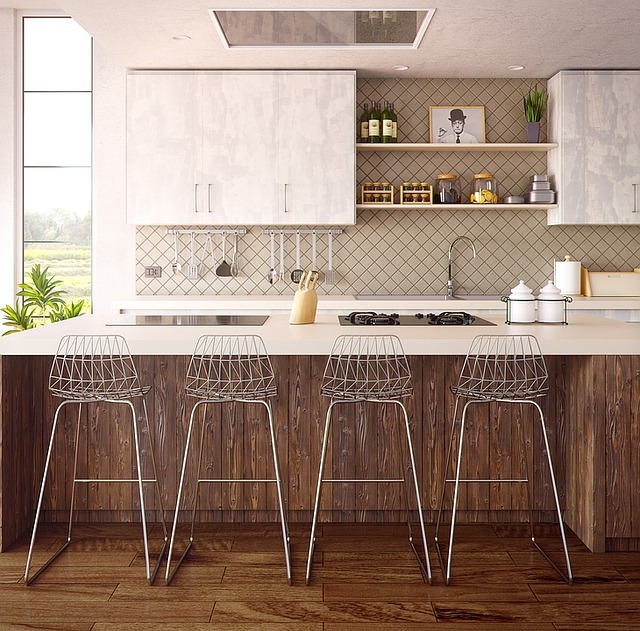 From these materials, we have compiled a list of some of the best design countertop material mashups for your New Jersey kitchen inspiration. Mixing the old with the new is a popular way to update a space and add interest. One of our favorite pairings is a granite perimeter countertop surrounding a reclaimed-wood island. The result of this pairing is utterly charming. It will fit in with any older or newer space. When pairing these two materials, try using contrasting colors. Pair a light wood with a dark granite. Pair a light granite with a dark wood. White kitchens are popular amongst homeowners in Wayne and North Caldwell. White backsplash, uppers, lowers, and countertops can become overwhelming. With no visual anchor or area of interest for the eye to cling to, it is easy for a kitchen to get lost in a sea of white. Luckily, an easy solution to this visual dilemma exists. Add an island with a contrasting material. The beauty of walnut goes well within white kitchens. The warmth of the wood adds balance to an all white kitchen. Without this warmth, the kitchen may come off as too cold. Many homeowners love marble in their kitchens. However, the showy material can be expensive and difficult to maintain. Tackling this challenge may require homeowners think outside the box. They should mix materials. For those who choose to do this, the results can be stupendous. To save money on marble, opt for walnut countertops and a marble centerpiece island. You will not be disappointed. The beautiful island will really shine. It will take center stage in your new kitchen. Are you in need of additional counter space? A chopping block extension could be the perfect addition to your kitchen. Granite and walnut are an appealing pairing of materials. Jazzing up a short island with a chopping block extension is one way to add space and functionality to a kitchen’s existing island. The contemporary look of quartz countertops can be paired eloquently with a maple butcher block island. The durable alternative to marble is an affordable and modern material. 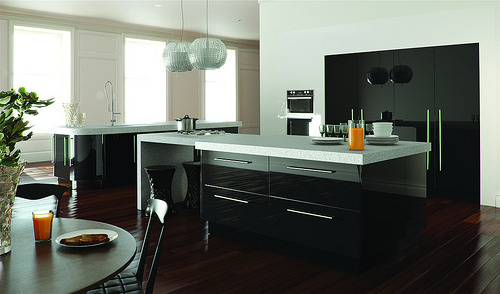 Quartz is for those who look for the perfect addition to a white or modern kitchen. The addition of a maple butcher block is able to add texture, contrast, and depth. This happens against the lighter cabinetry and decor of a contemporary kitchen space.